We are a leading security consulting company in Ghana with years of professional experience in private security services and defence contracting. LandMark Security, LLC (LMS) is uniquely positioned and partners with host governments’, multinational companies and corporations in Ghana, West Africa and Africa to deliver critical security projects/programs. Incorporated under the Companies Code 1963, (Act 179) in Victoriaborg, Accra-Ghana, in 2009, LandMark Security remains a medium size security company by choice to effectively serve the needs of our clients’. As a founding member and a signatory company to the International Code of Conduct for Private Security Service Providers, and Association (ICOC, ICOCA) based in Geneva. Our activities are in line with international best practices, and we exhibit remarkable respect for human rights in business operations. The company also subscribes to the tenets of the voluntary principles (VPs), and Code of Conduct for Law Enforcement Officials (Adopted by the UN General Assembly, Resolution 34/169 of 17 December 1979). LMS through its procedures, systems and people will deliver exceptional services to our clients ensuring that our clients are able to concentrate on their primary objectives, leaving us to deal with all matters related to security. 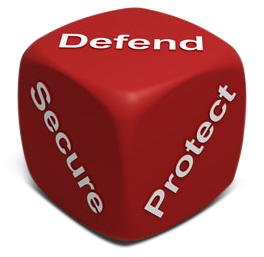 To be a growing professional security company with external presence, serving as an integral part of every security need, and providing effective protective assurance to people and communities. Retain and improve our service approach for existing and new customers. To increase revenue and net profit by 10% annually. To ensure exceptional service and product delivery meeting the highest industry standards. Establish one new strategic alliance/partnership annually. Increase efficiencies through use of current and existing technologies. To continually develop the leadership abilities and potential of our team through cross-functional training and adoption of current best practices. Maintain workplace safety with zero reported LTIFR. Ensure compliance to applicable laws/standards, improve reporting and transparency.